Applying an Android application into any Application Store is not a walk in the park. One need to prepare, beside the application binaries of course, several supporting documents (marketing, images, reviewer instructions etc.). The publication process length might vary from store to store. In Google Play the publication starts immediatly after the binary is being uploaded. 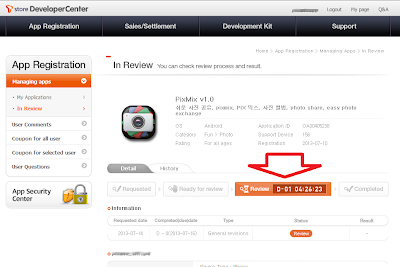 In Samsung Store it take several long days till the binaries are inspected and pass the entire certification process. Amazon store submission process is very similar to the Samsung store process but the waiting period might be a bit shorter. However, in all the stores mentioned above there is a lack of certainty about WHEN the process will end. 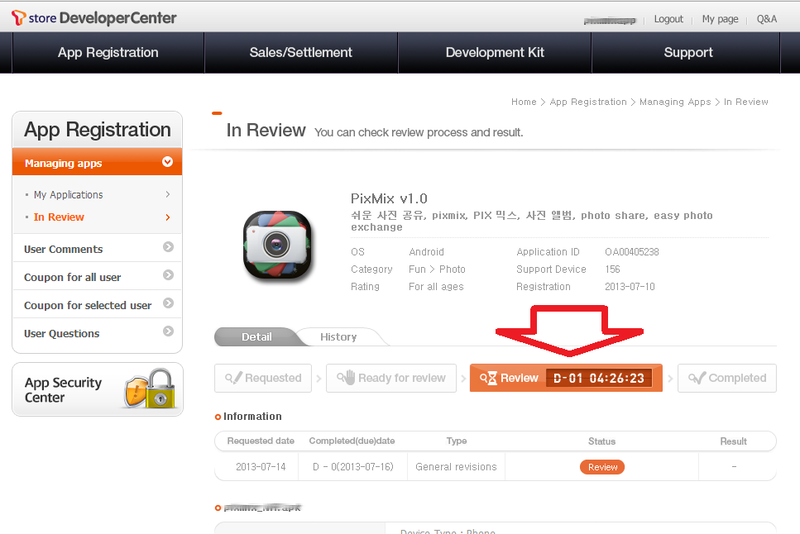 Therefore I was very surprised when I saw the submission process at the Korean store - T-Store. I like this efficiency and the feedback! In case you wonder - this is NOT effects the inspection quality. In fact their inspection is one of the best quality I seen.